An established senior luxury real estate advisor with three decades of experience, Becky Frey represents extraordinary homes and distinguished clientele with ease. Her respected professional reputation is built upon a foundation of steadfast devotion, sincerity and commitment. Becky is a trusted advocate for her clients, known for her discretion, distinct eye for quality, and steadfast follow through. As an industry leader, Becky consistently manages transactions with finesse, using her comprehensive local market knowledge, extensive network, and negotiation skills to control results. With a legacy of service and discernment that stems from her childhood greeting customers in her father’s hardware store, Becky and her team design custom marketing plans tailored to client needs with weekly marketing reports and analysis to review progress and make necessary modifications. Becky united with Compass through a common vision of superior service, creative marketing ventures, and global outreach. She currently specializes in premier residential real estate in Dallas’ preeminent neighborhoods such as Highland Park, University Park, Preston Hollow, Devonshire, Bluffview, Lakewood, and Uptown. Backed by Compass' trusted and prominent brand heritage, Becky brings sophistication and elevated proficiency to all areas of her professional career. Deeply connected with her community, Becky co-chairs the Katy Trail 5K run/picnic and helped it grow by more than 5,000 participants. She has also served on the boards of Pi Beta Phi Alumni, Kidney Texas, Nexus Recovery Center and the Devonshire Homeowners Association. 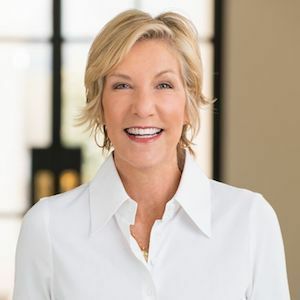 She is a member of several select real estate networking groups; The Masters of Real Estate, and stays active with Preservation Dallas, The Dallas Arts District, and The Family Place. A proud Southern Methodist University Alumnus, outdoor enthusiast, and athlete, Becky compares her business to the marathons and triathlons in which she loves to compete. Each requires a training plan and complete commitment - sticking with the deal and crossing the finish line. Voted Best of D Realtors® for several consecutive years, Top 25 Women to Watch in the Dallas Business Journal, Top Listing Agent by Dollars in the Park Cities by People Newspapers, Top Listing agent by Number of Sales by People Newspapers, and D Magazine Top Producer based on Real Estate Sales.